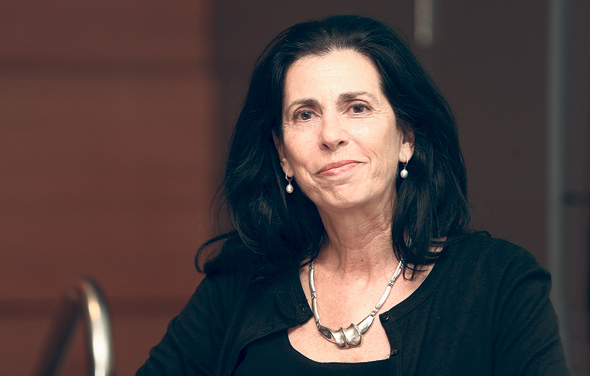 Israel's Commissioner of Capital Markets Dorit Salinger will be stepping down at the end of August after five years on the job. Her tenure was characterized by assertive behavior, an unprecedented amount of memos issued, and fast-paced, wide-ranging reforms that won her ardent critics and avid admirers in the local market. This was especially discernible on the subject of pension funds, when in addition to reforms intended to make services and transactions more transparent to investors, she blocked several potential acquisitions of Israeli insurers by companies with Chinese links. Salinger, 58, comes from the private finance world. Between 1998 and 2011, she served as the CEO of S&P Global Ratings Maalot Ltd., an Israeli subsidiary of S&P Global that provides credit and issuer rating and credit assessment services. After two years as the owner of a private advisory firm and a board member of several public companies, she was appointed as commissioner in September 2013. In her current role, Salinger was in charge of pension and provident funds, insurance firms and agents, and any entities operating in the regulated finance industry. Salinger blocked three Chinese-linked acquisition deals for Israeli insurer Phoenix Holdings during her tenure. In 2016, Chinese conglomerate Fosun International attempted an acquisition, and in 2017, China’s Fujian Yango Group also failed to secure approval. In July, a deal to sell a controlling stake in Phoenix to Sirius International Insurance Group, Ltd., a majority-owned subsidiary of Singapore-based investment company China Minsheng Investment Group (CMIG) International, was canceled after the two failed to secure regulatory approval by the deal's deadline. A potential acquisition of Israel’s second largest investment house, Meitav-Dash, by Chinese affiliated London-based private equity firm XIO Group fell through in August 2017. In September 2017, Israel-based Clal Insurance Enterprises Holdings Ltd. announced it has signed a memorandum of understanding for the sale of a 44.9% stake to Hong Kong-based Huabang Financial Holdings Ltd. The exclusivity period ended in November, and in February 2018 Clal officially announced the deal did not pan out, without stating a reason. The attempts seen in recent years to sell off these insurance firms are the result of a law passed by the Israeli Parliament in 2013, intended to increase competitiveness in the local market. The law required the separation of financial assets and real property by the end of 2019, meaning stakeholders or holding companies that own both must divest some of their assets. In July, Israel’s Channel 10 reported that earlier this year Netanyahu directed advisors to design a mechanism for reviewing foreign investments in Israel. According to Channel 10, the discussion specifically centered around the question of China and Trump’s tariff policy. Diplomatic ties between Israel and China have been strengthening in recent years, with several cooperation memorandums signed and joint government initiatives formed. Commercial ties have also warmed up. Israeli exports to China accounted for 8.7% of all Israeli exports ($2.8 billion) in the first half of 2018, a 73% increase year-over-year, and the number of Chinese investors participating in funding rounds for local startups nearly doubled between 2013 and 2017. In an interview with Calcalist held in mid-July, Salinger said she is not biased against Chinese firms. "I won't allow a controlling stakeholder that is a government entity, no matter which government it is," she explained. "Those were buyers with connections to government entities, or with government affiliations. I need to see an unambiguous corporate ownership structure." A country should not be in control of pension funds, Salinger said. Following former legalization, Israeli pension funds must be managed by private organizations and not by the state, she added. "How can I, as a government representative, allow those funds to pass into the control of another country?" Salinger recounts an email she recently received from a potential Asian interested party, inquiring whether Israeli regulation would enable a controlling stakeholder to invest pension funds in companies and projects he has ties to. Israeli pension funds total around $460 billion currently. “That’s my biggest concern and my incentive to say no,” she said, adding that since all insurance-related deals had financial entities and not strategic investors as potential buyers, their corporate behavior was of utmost importance. When it comes to Chinese-related companies, Salinger said, she had a hard time understanding who the actual decision maker was. She gave as an example state-owned food conglomerate Bright Food Group Co Ltd., which saw one former chairman jailed for 18 years in 2015 for embezzlement and another probed in May for corruption. Bright Food paid $2.5 billion in 2014 for a 56% stake in Tnuva, Israel's largest food manufacturer. Salinger sees a major difference between acquisitions of Israeli tech and consumer products and acquisitions of financial services providers. “When it comes to pension savings our scrutiny should be the best it can be," she said.